American actor, director and producer Burt Reynolds Jr. sadly died September 6, 2018 from Cardiac Arrest. He was born on February 11, 1936,in Lansing, Michigan. his father was drafted into the United States Army. So Reynolds, his mother and sister joined his father at Fort Leonard Wood, Missouri, and lived there for two years. When Reynolds’s father was sent to Europe, the family moved to Lake City, Michigan, where his mother had been raised. In 1946, the family moved to Riviera Beach, Florida. His father became Chief of Police of Riviera Beach, which is adjacent to the north side of West Palm Beach, Florida. During 10th grade at Palm Beach High School, Reynolds was named First Team All State and All Southern as a fullback, and received multiple scholarship offers. After graduating from Palm Beach High in West Palm Beach, he attended Florida State University on a football scholarship and played halfback. While at Florida State, Reynolds roomed with college football broadcaster and analyst Lee Corso, and also became a brother of the Phi Delta Theta fraternity. Reynolds hoped to be named to All-American teams and to have a career in professional football, but he suffered a knee injury and later lost his spleen and injured his other knee in a car accident. These injuries hampered Reynolds’ abilities on the field, and after being beaten in coverage for the game-winning touchdown in a 7-0 loss to North Carolina State on October 12, 1957, he decided to give up football. Ending his college football career, Reynolds thought of becoming a police officer, but his father suggested that he finish college and become a parole officer. To keep up with his studies, he began taking classes at Palm Beach Junior College (PBJC) in neighboring Lake Park. In his first term at PBJC, Reynolds was in an English class taught by Watson B. Duncan III. Duncan pushed Reynolds into trying out for a play he was producing, Outward Bound. He cast Reynolds in the lead role based on having heard Reynolds read Shakespeare in class, leading to Reynolds winning the 1956 Florida State Drama Award for his performance. In his autobiography, Reynolds refers to Duncan as his mentor and the most influential person in his life. The Florida State Drama Award included a scholarship to the Hyde Park Playhouse, a summer stock theater, in Hyde Park, New York where he met Joanne Woodward, who helped him find an agent, and was cast in Tea and Sympathy at the Neighborhood Playhouse in New York City. His Broadway debut was Look, We’ve Come Through, after which he went on tour with the cast, driving the bus and appearing on stage. After the tour, Reynolds returned to New York and enrolled in acting classes, along with Frank Gifford, Carol Lawrence, Red Buttons and Jan Murray. He was cast in a revival of Mister Roberts, in which Charlton Heston played the starring role. After the play closed, the director, John Forsythe, arranged a film audition with Joshua Logan for Reynolds. The film was Sayonara (1957). However Reynolds was told that he could not be in the film because he looked too much like Marlon Brando. Logan advised Reynolds to go to Hollywood. However Reynolds worked in a variety of different jobs, such as waiting tables, washing dishes, driving a delivery truck and as a bouncer at the Roseland Ballroom instead. He began acting on television in the late 1950s, and made his film debut in Angel Baby (1961). Following a regular role as Ben Frazer in Riverboat, he joined the cast of Gunsmoke as “halfbreed” blacksmith Quint Asper. He also played the titular role in the Spaghetti Western Navajo Joe (1966), before playing the title character in police drama Dan August. Reynolds appeared on ABC’s The American Sportsman hosted by outdoors journalist Grits Gresham, who took celebrities on hunting, fishing and shooting trips around the world. He portrayed the lead characters in Impasse (1969) and Shark! Albert R. Broccoli also asked Reynolds to play James Bond, but he turned the role down. Reynolds breakout role was as Lewis Medlock in the film Deliverance after which he played leading roles in a series of action films and comedies many pf which were box office hits, such as White Lightning, The Man Who Loved Cat Dancing, The Longest Yard, Lucky Lady, Smokey and the Bandit, Semi-Tough and Hooper. He also made his directorial debut in 1976 with Gator, the sequel to White Lightning. During the 1980s, his leading roles included Malone, All Dogs Go to Heaven, Smokey and the Bandit II The Cannonball Run and The Best Little Whorehouse in Texas. During the 1990’s he starred in Paul Thomas Anderson’s second film Boogie Nights, for which he was nominated for the Academy Award for Best Supporting Actor. In 2002, he voiced Avery Carrington in Grand Theft Auto: Vice City He had support parts in Miss Lettie and Me (2003) and Without a Paddle and two high-profile films: the remake of The Longest Yard and The Dukes of Hazzard (2005) Reynolds received his critical acclaimed performance for The Last Movie Star In May 2018, he joined the cast for Quentin Tarantino’s film, Once Upon a Time in Hollywood. Roger Waters was born on 6 September 1943, in Great Bookham, Surrey. He attended Morley Memorial Junior School in Cambridge and then the Cambridgeshire High School for Boys (now Hills Road Sixth Form College) with Syd Barrett, while his future musical partner, David Gilmour, lived nearby on the city’s Mill Road, and attended the Perse School.At 15, Waters was chairman of the Cambridge Youth Campaign for Nuclear Disarmament (YCND), having designed its publicity poster and participated in its organisation.Though he was a keen sportsman and a highly regarded member of the high school’s cricket and rugby teams. Whereas Waters knew Barrett and Gilmour from his childhood in Cambridge, he met future Pink Floyd founder members Nick Mason and Richard Wright in London at the Regent Street Polytechnic (later the University of Westminster) school of architecture. Waters enrolled there in 1962, and initially considered a career in mechanical engineering. However By September 1963, Waters and Mason had lost interest in their studies; they had moved into the lower flat of Stanhope Gardens, owned by Mike Leonard, a part-time tutor at the Regent Street Polytechnic.15] Waters, Mason and Wright first played music together in the autumn of 1963, in a band formed by vocalist Keith Noble and bassist Clive Metcalfe. They usually called themselves Sigma 6, but also used the name the Meggadeaths. Waters played rhythm guitar and Mason played drums, Wright played on any keyboard. In the early years the band performed during private functions and rehearsed in a tearoom in the basement of Regent Street Polytechnic. When Metcalfe and Noble left to form their own group in September 1963, the remaining members asked Barrett and guitarist Bob Klose to join. Waters switched to the bass and by January 1964, the group became known as the Abdabs, the Screaming Abdabs, Leonard’s Lodgers, Spectrum Five, the Tea Set and finally Pink Floyd. By early 1966 Barrett was Pink Floyd’s front-man, guitarist, and songwriter. He wrote or co-wrote all but one track of their debut LP The Piper at the Gates of Dawn, released in 1967. Waters contributed the song “Take Up Thy Stethoscope and Walk”. Unfortunately Barrett’s deteriorating mental health and increasingly erratic behaviour, rendered him “unable or unwilling” to continue in his capacity as Pink Floyd’s singer-songwriter and lead guitarist and in 1968 Barrett agreed to leave Pink Floyd and David Gilmour arrived In April 1968. After Barrett’s departure in March 1968, Waters began to chart Pink Floyd’s artistic direction. He became the principal songwriter, lyricist and co-lead vocalist (along with Gilmour, and at times, Wright), and would remain the band’s dominant creative figure until his departure in 1985. He wrote the lyrics to the five Pink Floyd albums starting with The Dark Side of the Moon (1973) and ending with The Final Cut (1983), exerting progressively more creative control over the band and its music. 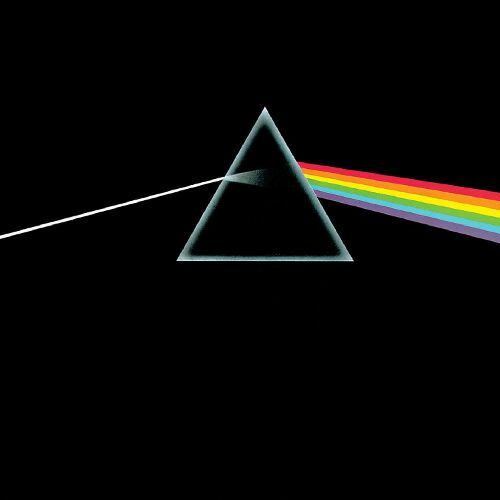 The Dark Side of the Moon became one of the most commercially successful rock albums ever. It was followed by Wish You Were Here (1975), Animals (1977) and The Wall (1979) and The Final Cut (1983). He often referred to the cost of war and the loss of his father throughout his work, from “Corporal Clegg” (A Saucerful of Secrets, 1968) and “Free Four” (Obscured by Clouds, 1972) to “Us and Them” from The Dark Side of the Moon, “When the Tigers Broke Free”, first used in the feature film, The Wall (1982) and the “The Fletcher Memorial Home”. The last band performance of The Wall was on 16 June 1981, at Earls Court London, and this was Pink Floyd’s last appearance with Waters until the band’s brief reunion at 2 July 2005 Live 8 concert in London’s Hyde Park, 24 years later. In March 1983, the last Waters–Gilmour–Mason collaboration, The Final Cut, was released. The album was subtitled: “A requiem for the post-war dream by Roger Waters, The lyrics were critical of the Conservative Party government of the day. Amidst a power struggle and creative differences within the group, Waters left Pink Floyd in 1985, and began a bitter legal battle with the remaining band members regarding their continued use of the name and material. In October 1986, he initiated High Court proceedings to formally dissolve the Pink Floyd partnership, referring to Pink Floyd as a “spent force creatively”. Gilmore and Mason opposed the application and announced their intention to continue as Pink Floyd. A settlement was finally reached 1987. Waters was released from his contractual obligation and he retained the copyrights to The Wall concept and the inflatable Animals pig. Subsequently Pink Floyd released three studio albums without Waters: A Momentary Lapse of Reason (1987), The Division Bell (1994) and The Final Cut. Following the release of The Final Cut, Waters embarked on a solo career that produced three concept albums and a movie soundtrack. In 1984 he released The Pros and Cons of Hitch Hiking, which features guitarist Eric Clapton, jazz saxophonist David Sanborn, and artwork by Gerald Scarfe. In 1986, Waters contributed songs and a score to the soundtrack of the animated movie When the Wind Blows, based on the Raymond Briggs book of the same name. His backing band featuring Paul Carrack was credited as The Bleeding Heart Band. In 1987, Waters released Radio K.A.O.S., a concept album based on a mute man named Billy from an impoverished Welsh mining town who has the ability to physically tune into radio waves in his head. Billy first learns to communicate with a radio DJ, and eventually to control the world’s computers. Angry at the state of the world in which he lives, he simulates a nuclear attack. In November 1989, the Berlin Wall fell, and in July 1990 Waters staged one of the largest and most elaborate rock concerts in history, The Wall – Live in Berlin, on the vacant terrain between Potsdamer Platz and the Brandenburg Gate. The show reported an official attendance of 200,000, with one billion television viewers. Leonard Cheshire asked him to do the concert to raise funds for charity. Waters’ group of musicians included Joni Mitchell, Van Morrison, Cyndi Lauper, Bryan Adams, Scorpions, and Sinéad O’Connor. Waters also used an East German symphony orchestra and choir, a Soviet marching band, and a pair of helicopters from the US 7th Airborne Command and Control Squadron. On 1992 He released his third studio album, Amused to Death, Which is heavily influenced by the events of the Tiananmen Square protests of 1989 and the Gulf War, and a critique of the notion of war becoming the subject of entertainment, particularly on television. The title was derived from the book Amusing Ourselves to Death by Neil Postman. It featured Jeff Beck on lead guitar on many of the album’s tracks. The album also garnered some comparison to his previous work with Pink Floyd. Waters described the record as, a “stunning piece of work”, ranking the album with Dark Side of the Moon and The Wall as one of the best of his career. It featured the song “What God Wants, Pt. 1”. In 1999, after a 12-year hiatus from touring, and a seven-year absence from the music industry, Waters embarked on the In the Flesh tour, performing both solo and Pink Floyd material. A concert film was released on CD and DVD, named In the Flesh – Live. During the tour, he played two new songs “Flickering Flame” and “Each Small Candle”In June 2002, he performed in front of 70,000 people at the Glastonbury Festival of Performing Arts, playing 15 Pink Floyd songs and five songs from his solo catalogue. Waters played a prominent roll In the 2004 Broadway Production of The Wall , this contained original tracks from The Wall, and songs from Dark Side of the Moon, Wish You Were Here and other Pink Floyd albums, as well as new material. In July 2004, Waters also released two new tracks on the Internet: “To Kill the Child”, inspired by the 2003 invasion of Iraq, and “Leaving Beirut”, an anti-war song “inspired by his travels in the Middle East as a teenager”. In 2005, Waters reunited with Mason, Wright, and Gilmour for what would be their final performance together at the 2005 Live 8 concert in London’s Hyde Park, Pink Floyd’s only appearance with Waters since their final performance of The Wall at Earls Court London 24 years earlier. They played a 23-minute set consisting of “Speak to Me/Breathe”/”Breathe (Reprise)”, “Money”, “Wish You Were Here”, and “Comfortably Numb”. In November 2005, Pink Floyd were inducted into the UK Music Hall of Fame by Pete Townshend of the Who. In September 2005, Waters released Ça Ira “it will be fine”; Waters added the subtitle, “There is Hope”, an opera in three acts translated from the late Étienne Roda-Gil’s French libretto based on the historical subject of the French Revolution. the original libretto was co-written in French by Roda-Gil and his wife Nadine delahaye and featured baritone Bryn Terfel, soprano Ying Huang and tenor Paul Groves. Waters had begun rewriting the libretto in English in 1989. In June 2006, Waters commenced The Dark Side of the Moon Live tour, a two-year, world-spanning effort that began in Europe in June and North America in September. The first half of the show featured both Pink Floyd songs and Waters’ solo material, while the second half included a complete live performance of the 1973 Pink Floyd album The Dark Side of the Moon, using elaborate staging as well as laser lights, fog machines, pyrotechnics, psychedelic projections, and inflatable floating puppets (Spaceman and Pig) controlled by a “handler” dressed as a butcher, and a full 360-degree quadraphonic sound system was used. Nick Mason joined Waters for The Dark Side of the Moon set and the encores on select 2006 tour dates. In March 2007, Waters also wrote the song, “Hello (I Love You)” for the science fiction film The Last Mimzy. He also performed at California’s Coachella Festival in April 2008 and was to be among the headlining artists performing at Live Earth 2008 in Mumbai, India in December 2008,but that concert was cancelled in light of the 26 November terrorist attacks in Mumbai. Waters had begun rewriting the libretto in English in 1989. In June 2006, Waters commenced The Dark Side of the Moon Live tour, a two-year, world-spanning effort that began in Europe in June and North America in September. The first half of the show featured both Pink Floyd songs and Waters’ solo material, while the second half included a complete live performance of the 1973 Pink Floyd album The Dark Side of the Moon, using elaborate staging as well as laser lights, fog machines, pyrotechnics, psychedelic projections, and inflatable floating puppets (Spaceman and Pig) controlled by a “handler” dressed as a butcher, and a full 360-degree quadraphonic sound system was used. Nick Mason joined Waters for The Dark Side of the Moon set and the encores on select 2006 tour dates. In March 2007, Waters also wrote the song, “Hello (I Love You)” for the science fiction film The Last Mimzy. He also performed at California’s Coachella Festival in April 2008 and was to be among the headlining artists performing at Live Earth 2008 in Mumbai, India in December 2008,but that concert was cancelled in light of the 26 November terrorist attacks in Mumbai. In June 2010, Waters released a cover of “We Shall Overcome”, a protest song rewritten and arranged by Guy Carawan and Pete Seeger at the Highlander Folk School possibly derived either from the refrain of a gospel hymn published by Charles Albert Tindley in 1901, but more likely from Louise Shropshire’s hymn, “If My Jesus Wills.” He performed with David Gilmour at the Hoping Foundation Benefit Evening in July 2010, plating: “To Know Him Is to Love Him”,”Wish You Were Here”, “Comfortably Numb”, and “Another Brick in the Wall (Part Two)”.Waters also commenced The Wall Live tour, an updated version of the original Pink Floyd shows, featuring a complete performance of The Wall Which has been described as one of the most ambitious and complex rock shows ever . At The O2 Arena in London on 12 May 2011, Gilmour and Mason once again appeared with Waters and Gilmour performing “Comfortably Numb”, and Gilmour and Mason joining Waters for “Outside the Wall”. Waters also performed at the Concert for Sandy Relief at Madison Square Garden on 12 December 2012 and headlined the Newport Folk Festival in Newport, Rhode Island in 2015 accompanied by the band My Morning Jacket and two singers from the group Lucius. As a member of Pink Floyd, Waters was inducted into the US Rock and Roll Hall of Fame in 1996 and the UK Music Hall of Fame in 2005. That same year he released Ça Ira, an opera in three acts translated from Étienne and Nadine Roda-Gils’ libretto about the French Revolution. Later that year, he reunited with Pink Floyd bandmates Mason, Wright and David Gilmour for the Live 8 global awareness event; it was the group’s first appearance with Waters since 1981. He has toured extensively as a solo act since 1999 and played The Dark Side of the Moon in its entirety for his world tour of 2006–2008. In 2010, he began The Wall Live and in 2011 Gilmour and Mason appeared with him during a performance of the double album in London. As of 2013, the tour is the highest-grossing of all time by a solo artist.